Patients with either primary or metastatic brain tumors quite often have cognitive impairment. Maintaining cognitive function is important to brain tumor patients and a decline in cognitive function is generally accompanied by a decline in functional independence and performance status. Cognitive decline can be a result of tumor progression, depression/anxiety, fatigue/sleep dysfunction, or the treatments they have received. 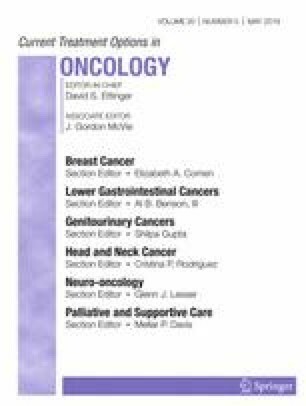 It is our opinion that providers treating brain tumor patients should obtain pre-treatment and serial cognitive testing in their patients and offer mitigating and therapeutic interventions when appropriate. They should also support cognition-focused clinical trials. Christina K. Cramer has received speaker’s honoraria from Monteris Medical, and is also a member of teaching faculty for an on-site SBRT training course to which Elekta refers customers and for which Elekta reimburses the department. Tiffany L. Cummings declares that she has no conflict of interest. Rachel N. Andrews declares that she has no conflict of interest. Michael Chan has received speaker’s honoraria from Monteris Medical, and is also a member of teaching faculty for an on-site SBRT training course to which Elekta refers customers and for which Elekta reimburses the department. Roy Strowd declares that he has no conflict of interest. Stephen R. Rapp declares that he has no conflict of interest. Edward G. Shaw declares that he has no conflict of interest. Glenn J. Lesser has received clinical trial support from Vascular Biogenics, Incyte, NewLink Genetics, Novartis, Immunocellular Therapeutics, and Pfizer; has received compensation from Monteris Medical and Insys Therapeutics for service as a consultant; and has received compensation from Stemline Therapeutics for serving as Data Safety and Monitoring Board Chair for a study.